This salt is clean to use leaving no dirty residue to be trodden into Carpets in buildings and vehicles. After a winter season, there is no residue to sweep up and no drains to be cleared. Our white salt is carefully screened to produce the most effective spread pattern increasing pedestrian safety and the working life of the equipment. The salt is harvested from sustainable sources around the Mediterranean Sea. White de-icing salt is a purer form of ‘grit’. This de-icing salt has a lower freezing temperature than water, therefore, has the ability to prevent ice developing on public walkways, roads, car parks etc. The benefits of white salt are that it is a cleaner product. It does not leave a dirty residue after use and will not stain paving. Overall, white de-icing salt can be a more aesthetically pleasing form of grit, in particular around homes and workplaces. Buying 1 tonne of rock salt creates huge savings! 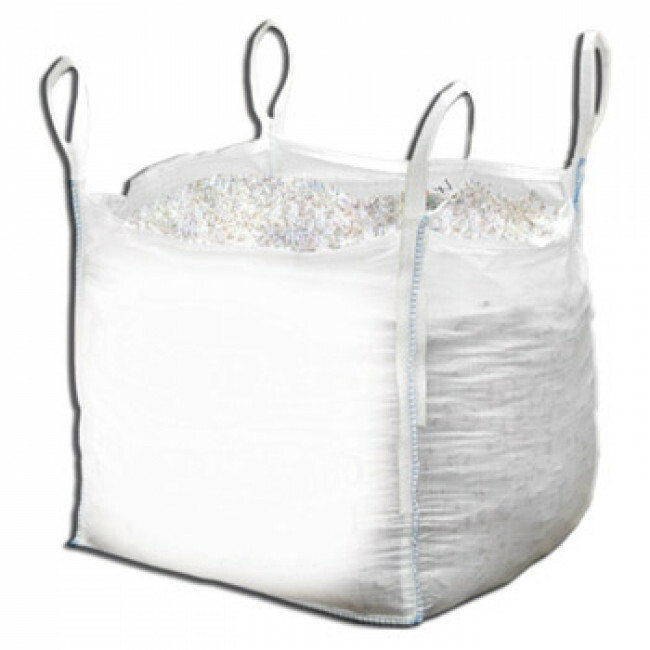 Unlike other suppliers, we supply a full 1000kg bag of white rock salt and our prices will not change during the winter season. Prices quoted are for UK mainland delivery, please contact us delivery to other locations. The 1-tonne bag of rock salt is delivered on a pallet by a vehicle with a tail lift and trolley jack. Please make sure you let us know of any delivery restrictions (weak bridges, narrow lanes, low bridges etc) when you place your order. By doing this, we can then make sure that your delivery of rock salt is delivered on a suitable vehicle. Failure to notify us of any such restrictions may result in a surcharge and possible delay of delivery. Due to the size and weight of the delivery lorries (potentially weighing up to 44 tonnes), we require that you confirm that the area which you require the delivery to be to is flat and that the ground is stable and able to handle the weight of the vehicle. We cannot deliver on sloping ground, as the tail lift must be able to lay flat on the ground.